Knee Replacement Surgery is a common solution that provides dramatic pain relief for almost all pateints. The majority of knee replacement are done to treat osteoarthritis. In this procedure a mechanical implant is used to replace severely arthritic or damaged knee joints. 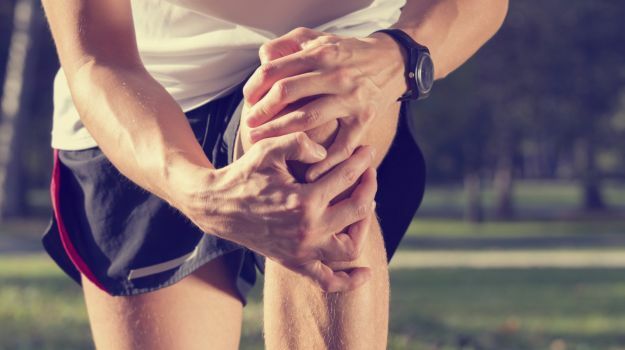 Doctor may advise you knee replacement surgery if you have a stiff, painful knee that makes even the simplest of activities hard to preform, and other treatments are no longer effective. This surgery is generally reserved for people over age 50 the one who have severe osteoarthritis. This surgery is generally reserved for people over age 50 who have severe osteoarthritis. Once you are under general anaesthesia or spinal/epidural anaesthesia, an 8 to 12 inch cut is made in front of the knee. The damaged part of the joint is removed from the surface of the bones, and the surfaces are then shaped to hold a metal or plastic artifical joint. The artificial joint is attached to the thigh bone, shin and knee cap either with cement or a special material. Minimally invasive surgery has revolutionized knee replacement surgery as well as many fields of medicine. Its key characteristic is that it uses specialized techniques and instruments to enable the surgeon to perform major surgery without a large incision. Minimally invasive knee joint replacement requires only a smaller incision, 3 to 5 inches, than the standard approach and incision. The average hospital stay after knee joint replacement is uaually three to five days. After about six weeks, most people are walking comfortably with minimal assistance. Once muscle strength is restored with physical therapy, people who have had knee joint replacement surgery can enjoy most activities except running and jumping. After knee replacement surgery, you are usually sent home or to a rehabilitation centre, depending on your condition at that time. If you are sent to a rehabilitation centre, the average stay is approximately seven to ten days. Dr.Thadi Mohan is a Consultant Orthopaedic surgeon with more than 20 years of experience. He has orthopaedic clinical practice in Kerala, India with patients consulting him from more than 20 countries worldwide. Provides Best Knee Replacement Surgery in Kerala.